Are you looking for a unique and fun way to celebrate your child’s birthday. 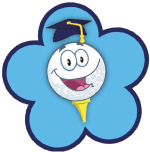 The School of Golf will be happy to host your child and their friends at their Chelmsford venue. Games and lots of fun! upon request with Little Channels bistro at an additional cost.